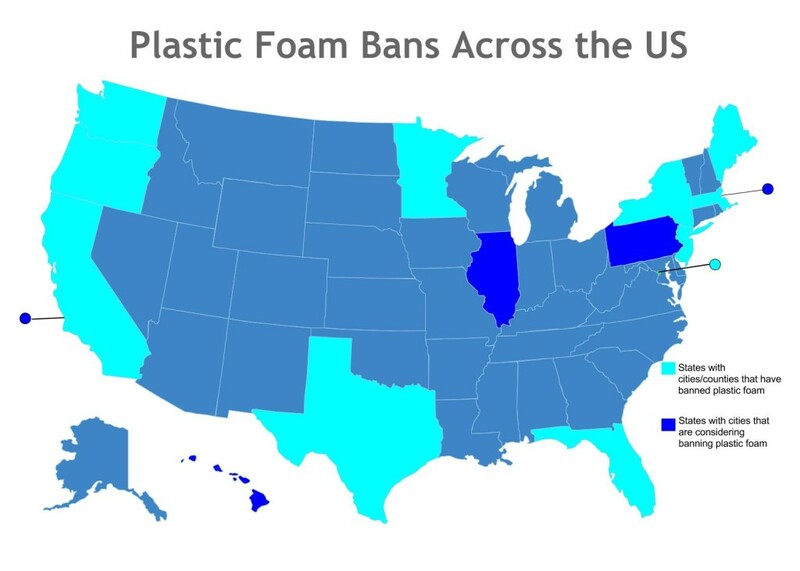 MAP: Which Cities Have Banned Plastic Foam? It’s official: Washington, DC has joined the ranks of cities that have banned plastic foam products (commonly called Styrofoam). On July 14, 2014, DC lawmakers passed the second and final round of a bill called “Sustainable DC Omnibus Act of 2014,” which includes a ban on the product in restaurants and businesses. Though the bill won’t come into its full effect until 2016, consumers will start to see changes months before that date. Currently, all bans have appeared on a citywide or countywide level. Some of the cities and counties listed below have complete bans on Styrofoam and other polystyrene foam, which includes all places of business and public facilities. Others have enacted partial bans, regarding foam use in public facilities. Don’t see your city or county on the list below? Encourage your city or county council representatives to make the switch! 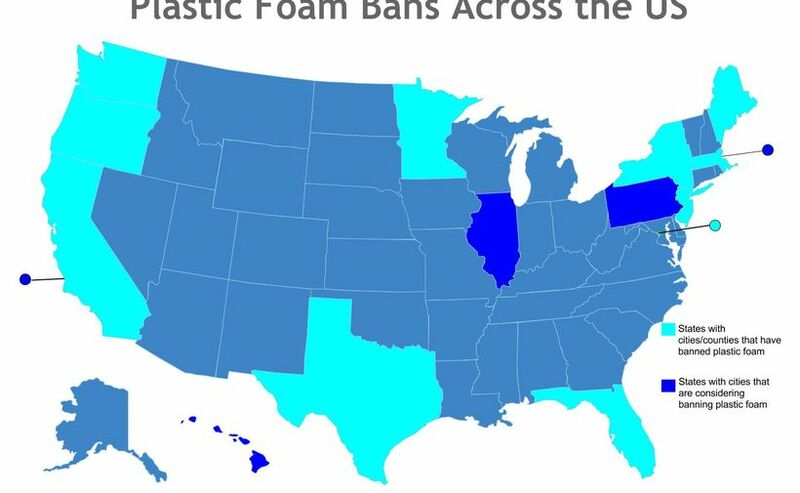 First, here are the cities with current bills proposed to ban plastic foam. For the full list of cities and counties (by state) that have sworn off plastic foam already, keep scrolling. We’re always glad to add new names to this list! If you have a city that you think we missed, or if you think we’ve made an error, send an email to kelsey.ryan@groundswell.org, or leave a comment below. Kelsey Ryan is the editor of Groundswell’s magazine. She’s a linguist, fledgling Tolkien scholar, knitter, Oxford comma proponent, and firm believer in the use of stories for social good. Explore her website, or connect on Twitter: @kryanlion.